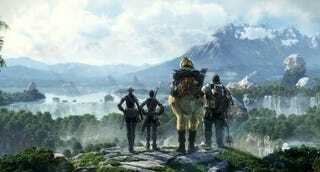 How Long Should We Expect To Play Final Fantasy XIV? Let's see, Final Fantasy XI came out in Japan in spring 2002. It's been over 8 years! But how long did Square Enix intend to support the game? Five years. Since the title is popular, Square Enix continued to support it as Final Fantasy XI entered its sixth, seventh and eighth year. With the upcoming online game Final Fantasy XIV expected this year, how long can players look to continued support the game? According to veteran Square Enix producer Hiromichi Tanaka, five years. Don't be shocked, however, if it enters its eighth year. There is a precedent for that, you know.